Match Truck - crane end. 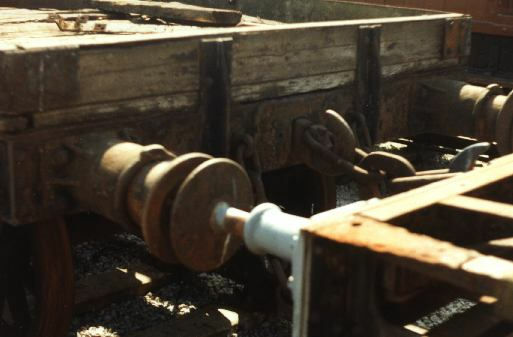 Note safety chains to right of nearer buffer. The crane is not the one shown in other photos & has missing floor plates.